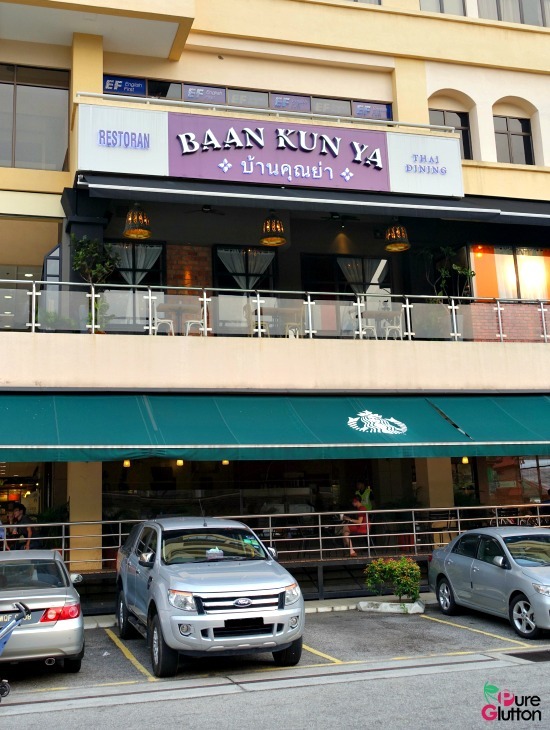 BAAN KUN YA @ Centrepoint, Bandar Utama – it’s Thai dining from the heart! 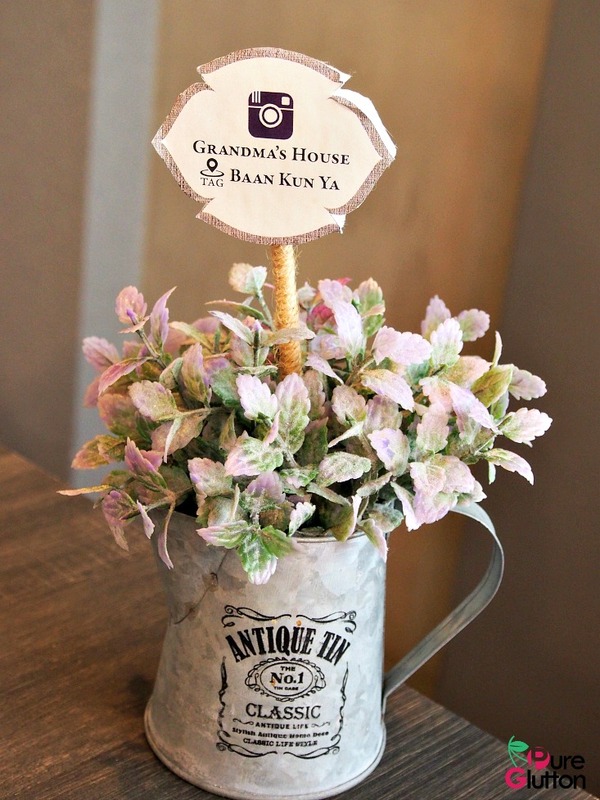 Baan Kun Ya means “Grandma’s House” in Thai and it was this desire to preserve age-old recipes of traditional Thai dishes that inspired the opening of this restaurant. 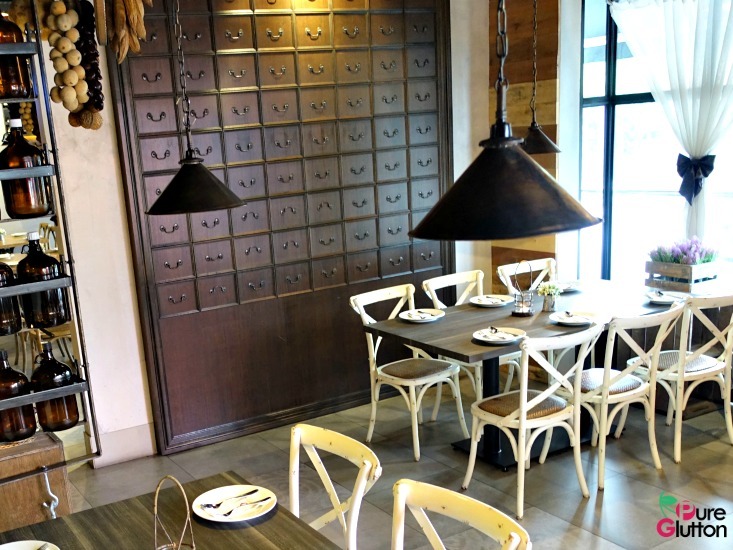 It’s by the same people behind Thai Odyssey – yes, those well-known massage therapy outlets. 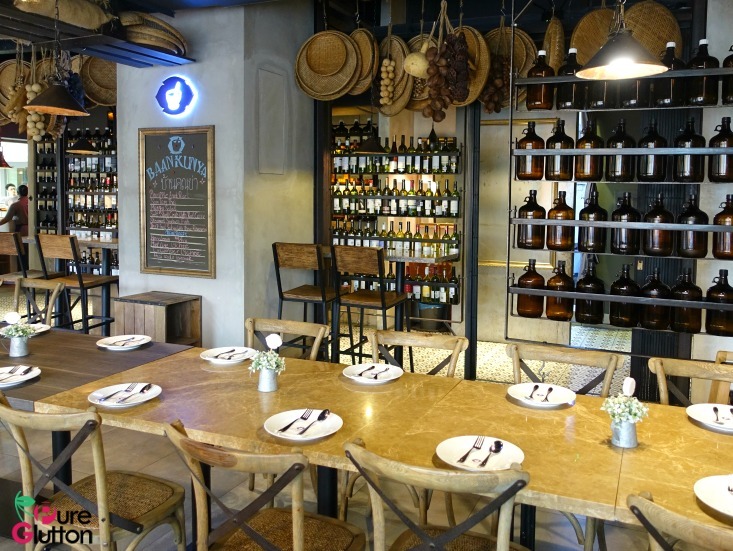 Love the rustic charm of the restaurant! 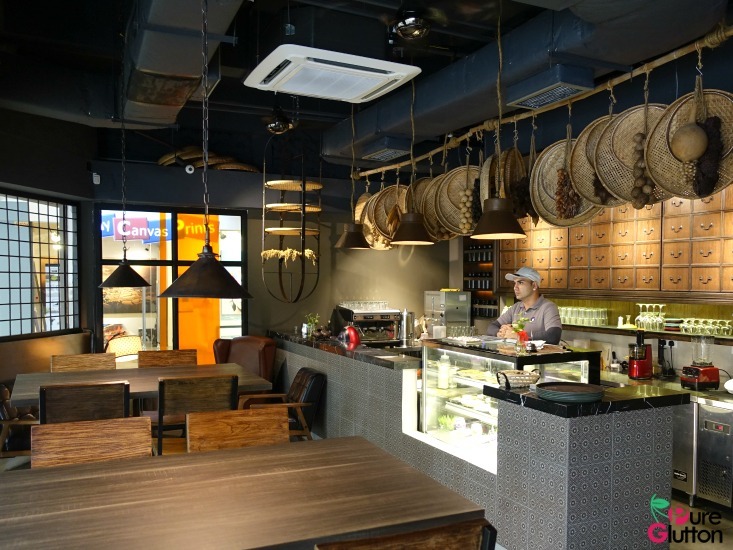 Having made a strong presence in Malaysia all these years with their local massage/spa expertise, it makes sense to now expand into the F&B industry with their particular offering of “old but gold” dishes. The chefs are from Thailand, of course and I was told they are very picky about using authentic ingredients from their homeland. I was impressed when I noted they even insisted on using only Thai garlic in their cooking. Thai garlic is smaller in size but mega big in terms of flavour and aroma. 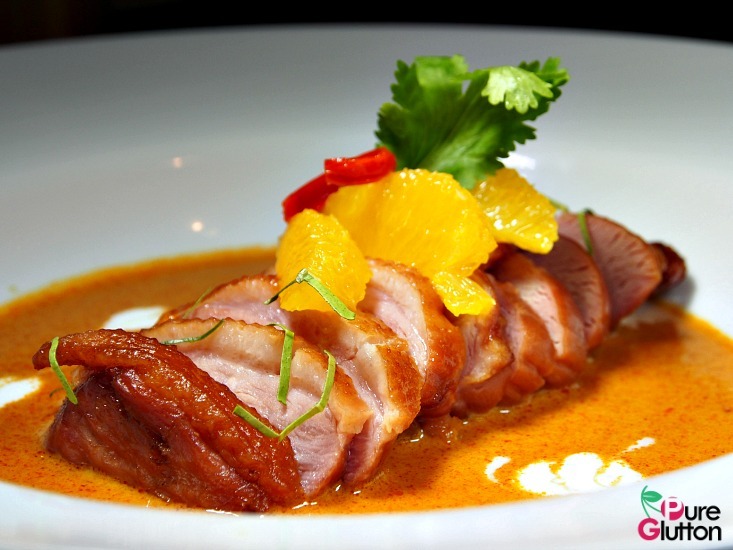 With such exacting standards, their tagline of “Thai Dining from the Heart” absolutely hit the nail on the head! Miang Kam (RM26) is always a favourite appetiser for me. 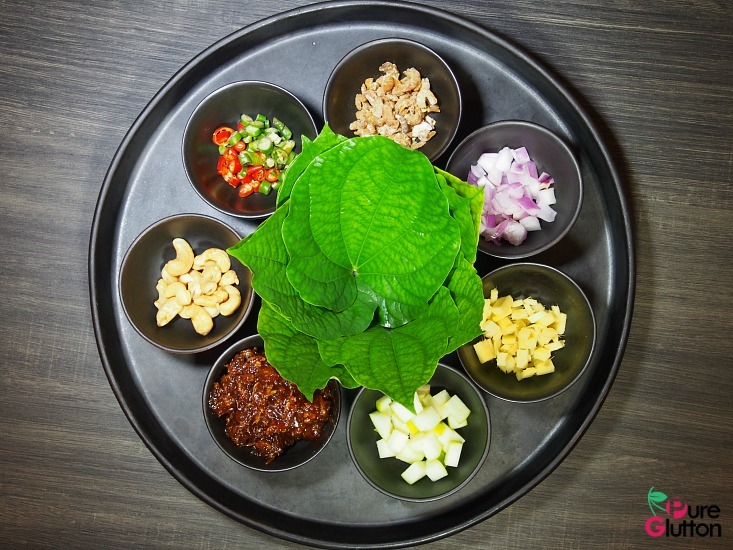 Assembling chopped ginger, shallots, lemon, chillies and crunchy cashewnuts in little “cha plu” leaves packages together with some of their excellent Miang sauce was a very tasty activity! It was so good I did it over and over again. 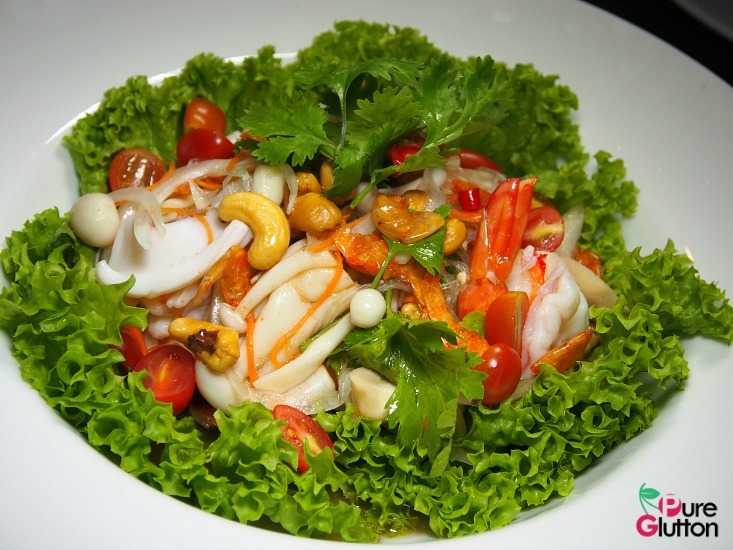 Salads are always welcome and at Baan Kun Ya, their Thai Seafood Vermicelli Salad (RM28) is a best seller, I was told. 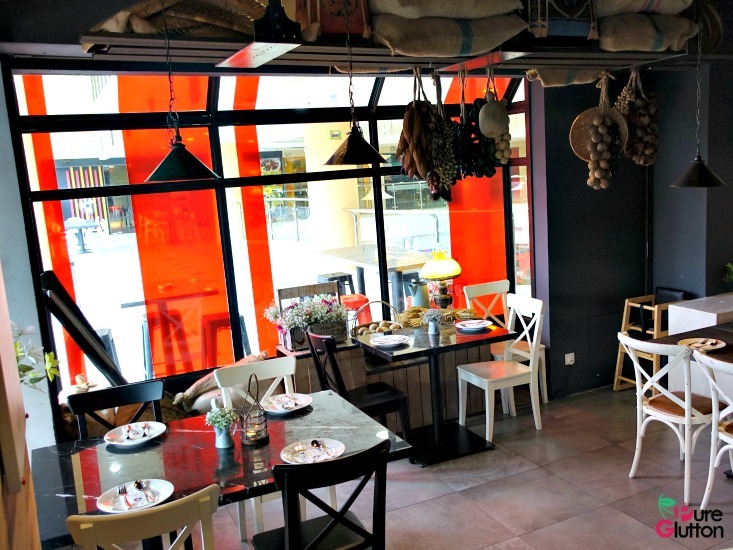 Many health-conscious diners have this as their mains. 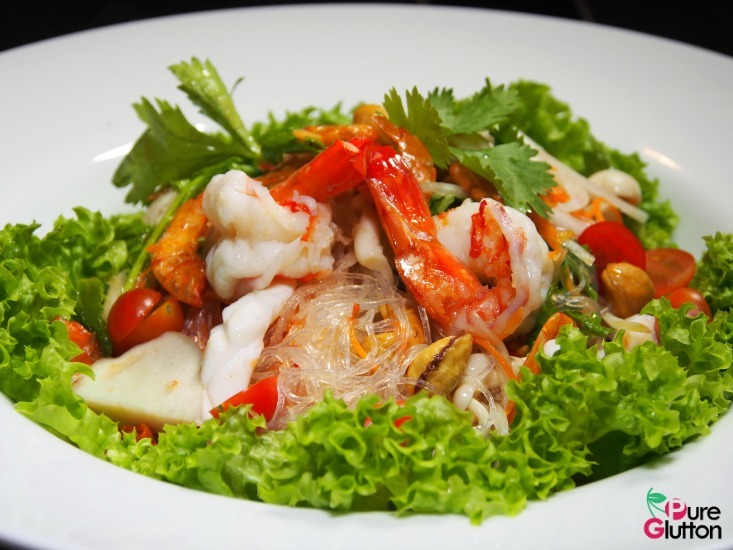 It’s a wholesome serving of boiled shrimps, squids, fresh vegetables, Thai dried prawns and glass noodles all tossed in a spicy, sweet and tangy dressing. All the flavours were well-balanced and refreshing – it’s no surprise why it’s so popular! 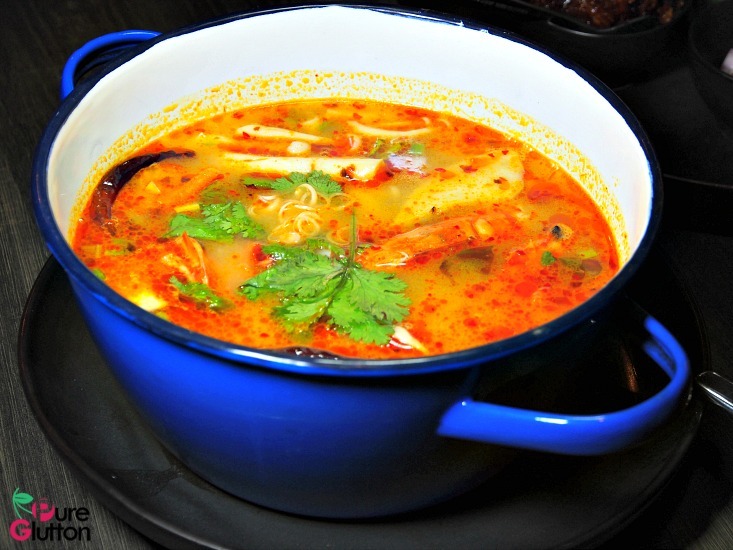 Diners can choose from a few types of tom yam here and we went for their Tom Yam Nam Khon (RM48 for big pot) – creamy tom yam with addition of milk and fresh mixed seafood with all the right amounts of spiciness and fire. Baan Kun Ya’s Green Curry Chicken (RM36) was one of the best we’ve had. This “Gaeng Kiao Wan” had smooth tender sliced chicken thigh with eggplants and long beans. 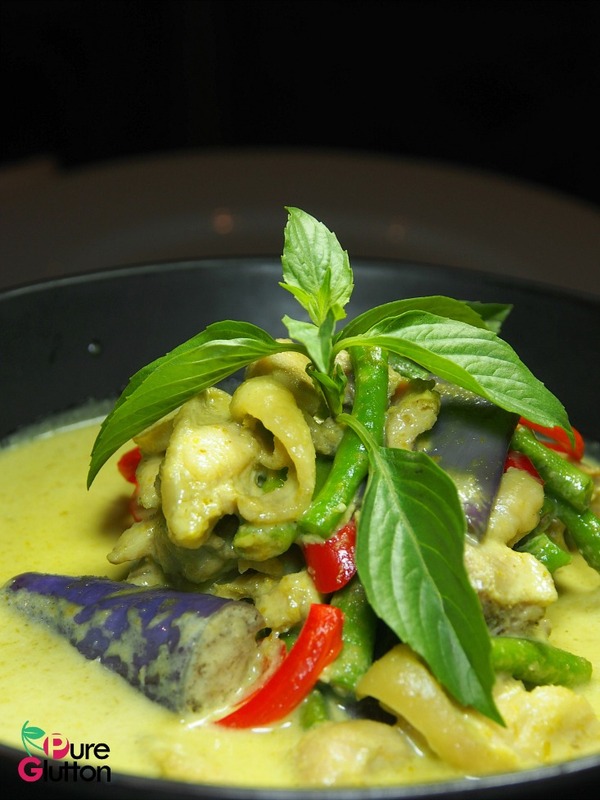 The spice and coconut cream were not overwhelming, giving this soulful curry the thumbs-up all round. In fact, we had to order extra rice to go with this. The Smoked Duck Curry (RM42) – Panang Phet cooked in Thai red chilli paste, herbs and other spices was a tad too rich for my liking. Good for those who like lots of coconut cream but it’s a good thing the curry was topped with slices of mandarin oranges for some zing. 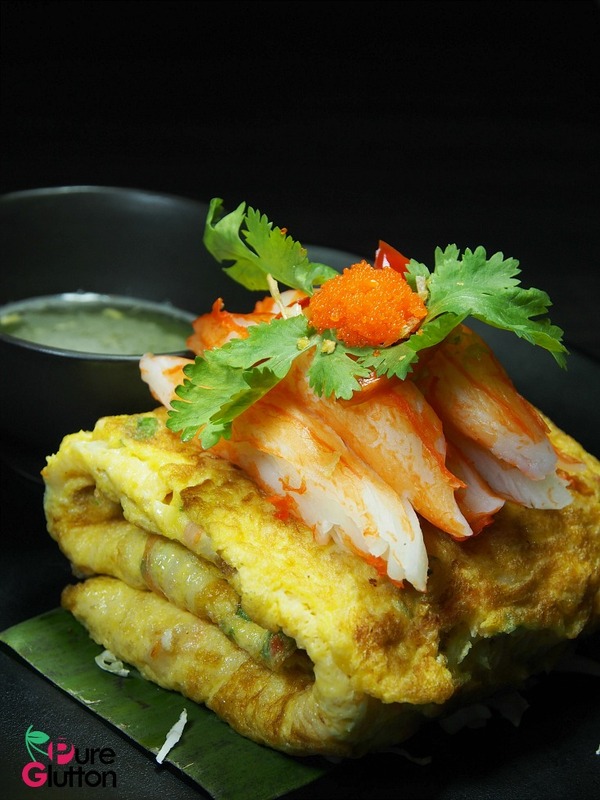 Crabmeat Omelette (RM32) – “Khai Jiao Poo” – a gorgeous package of crabmeat and fluffy eggs, drizzled with Grandma’s special sauce. How can anyone not love this? 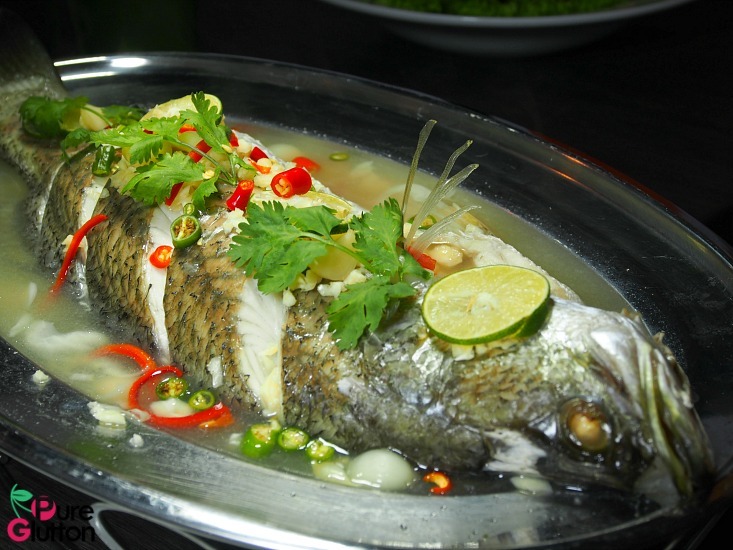 Every Thai restaurant worth its lemongrass would have Steamed Seabass Thai-style in their repertoire. 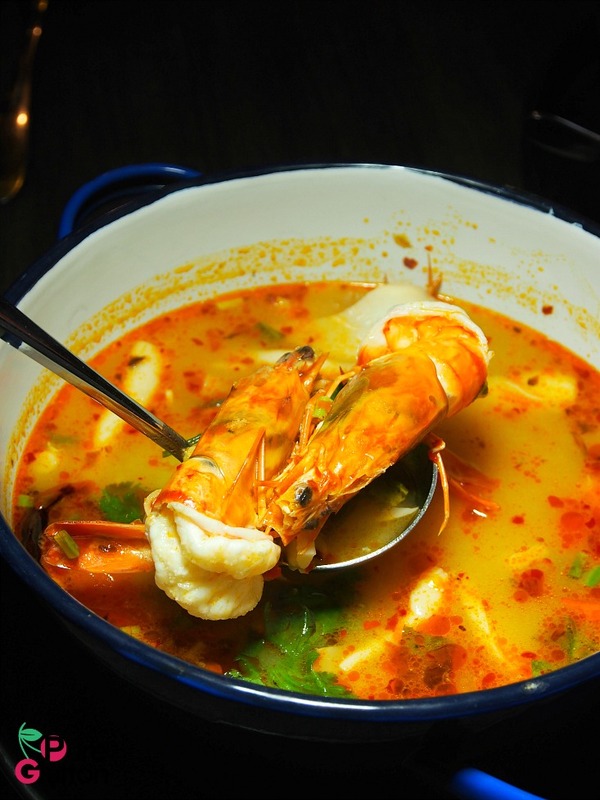 Baan Kun Ya’s version is steamed with lots of lemon juice, chilli, garlic and onions. The fresh seabass was a perfect fodder to absorb all the delicious flavours. 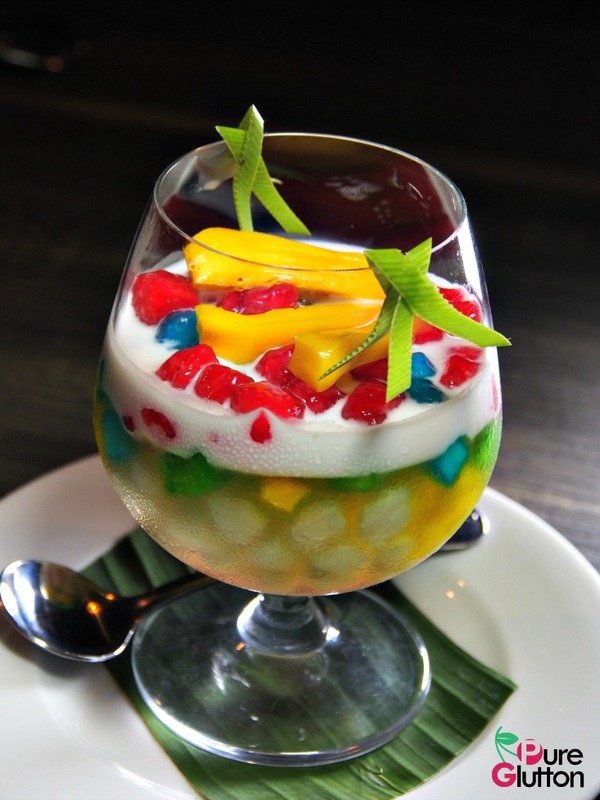 Baan Kun Ya has some really desserts in its line-up, so do save some tummy space for them. Sar Koo Sai Gai (RM13/5 pieces) These are savoury ball-like dumplings with chewy translucent steamed sago skin filled with seasoned radish, garlic and black pepper. 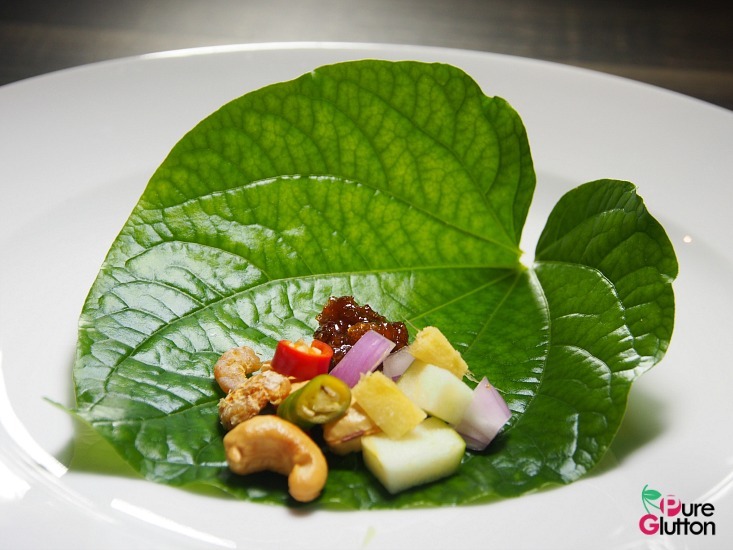 Served with leafy lettuce, fried garlic and chilli padi, take your time to chew them and wait for the bright flavours blast! 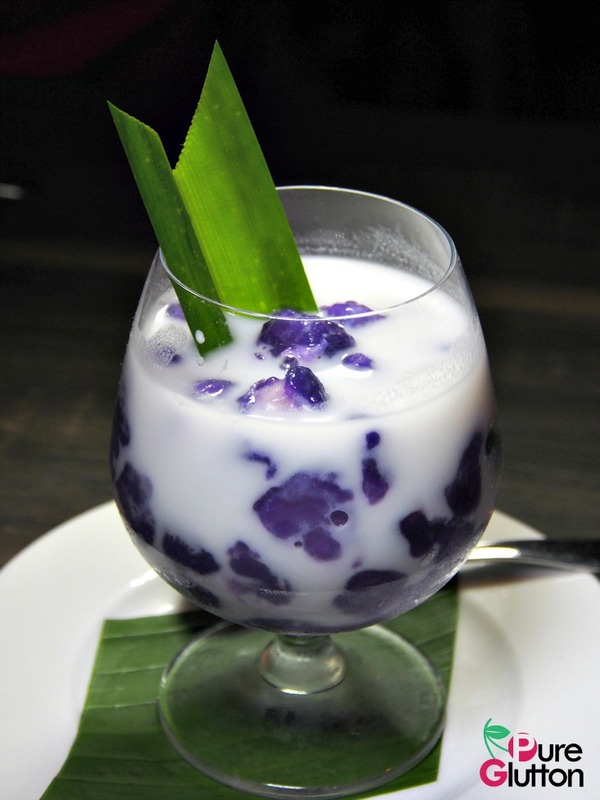 Bua Loi Tub Tim (RM8) – purple floating lotus. Yam cubes coated with tapioca flour, coconut cream and palm syrup. The interesting play of salty and sweet flavours make this a must-try dessert! 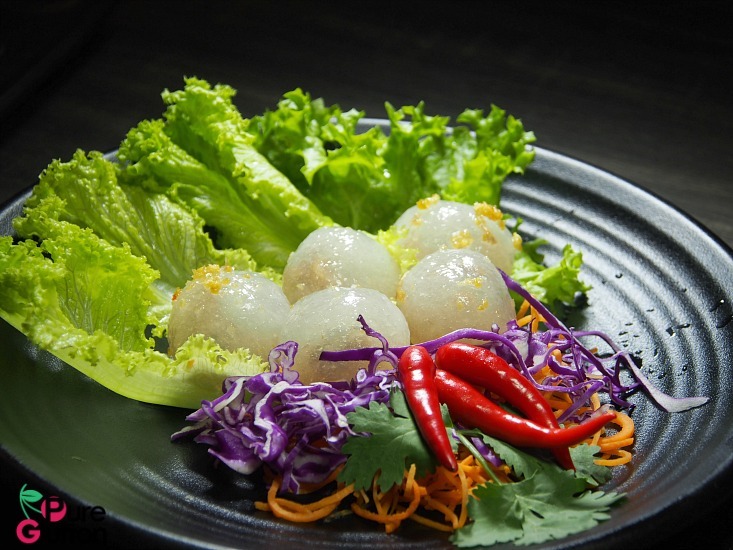 Khanoi Tub Tim Krop Har See (RM12) – cubes of water chestnuts in 5 colours with jackfruit and palm fruit. 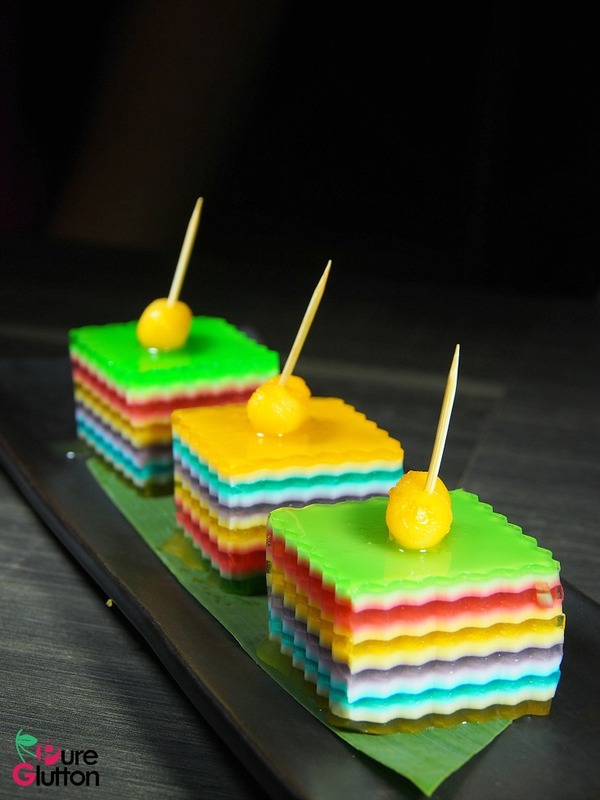 Much attention and efforts were put into these as every jewel cube is coated perfectly with slippery tapioca flour. 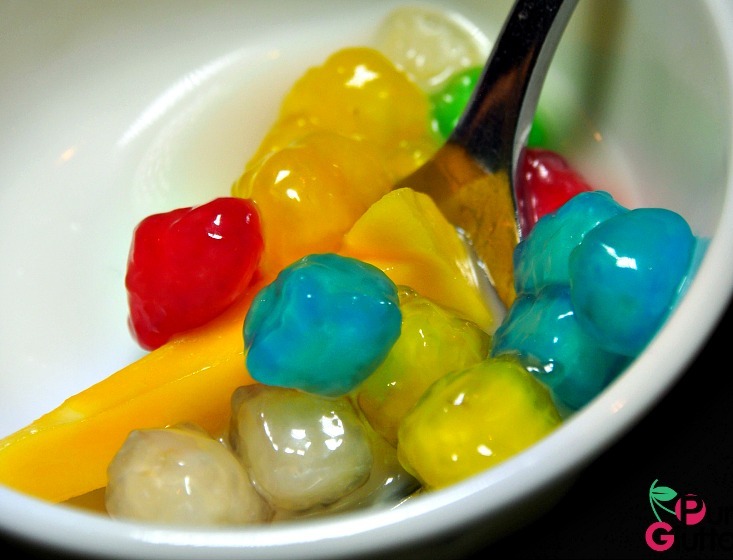 Woon Jet See (RM12/3 pieces) – multi-coloured layered jelly that’s pleasing to the eyes and tummy! 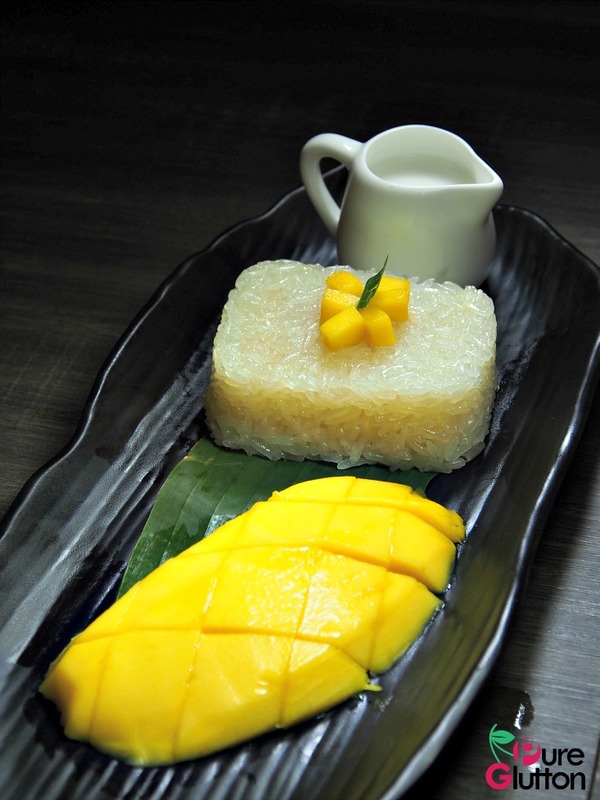 Khao Niew Ma Muang (RM15) – mango sticky rice. Sprinkled with black sesame seeds and fried mung beans, this signature dessert was perfectly executed. 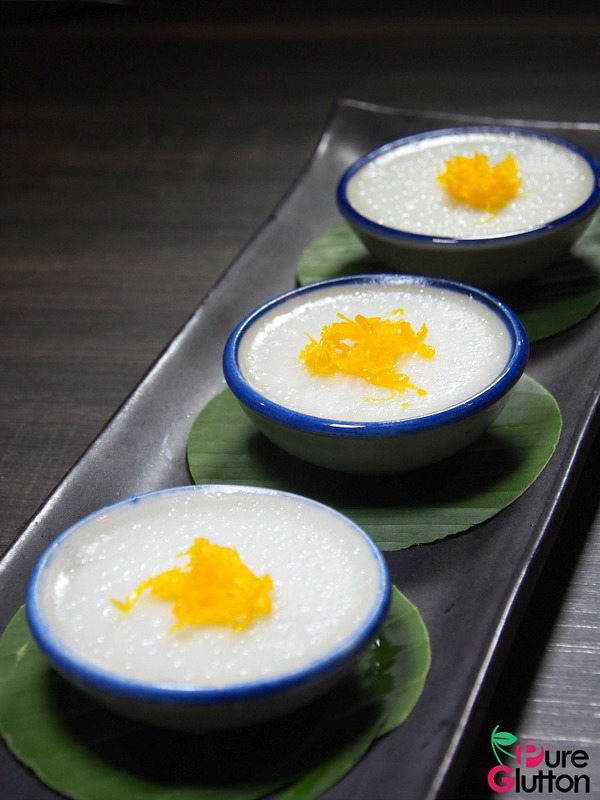 Tar Kho – chestnut pudding with sago, corn and coconut cream (RM10/3 pieces) topped with “foi thong” – sweet shredded egg yolk for that extra touch. 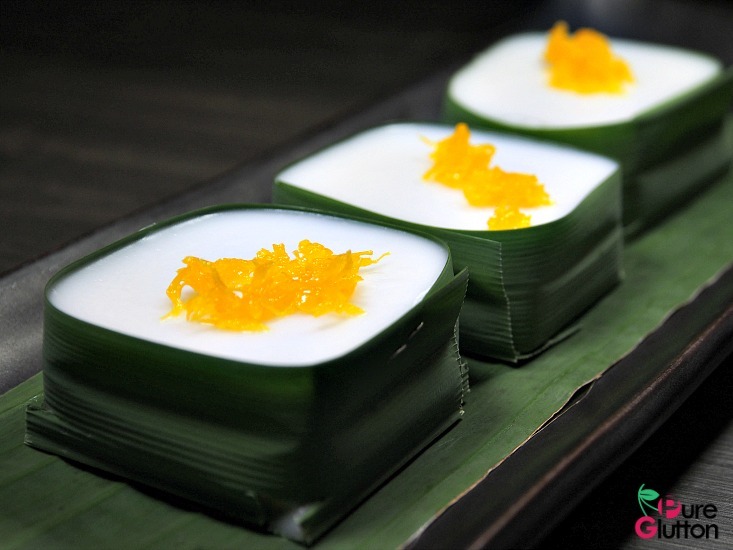 Khanom Thuay (RM8) Contrasting flavours of sweetness and saltiness – a perfect combo of pandan juice, coconut milk, flour and sugar. 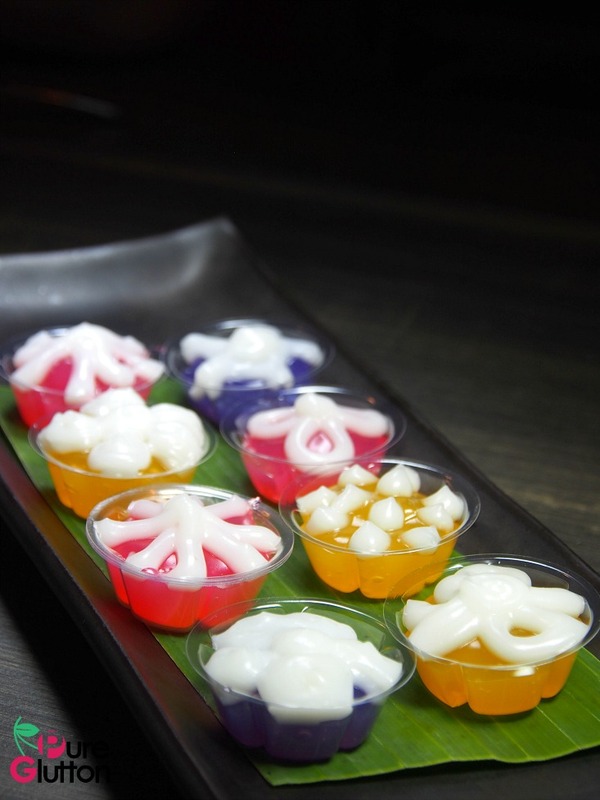 Khanom Leum Kleun (RM10/6 pieces) – Petite and pretty mung bean pudding made with pandan juice, syrup and flour. Decorated with coconut cream! 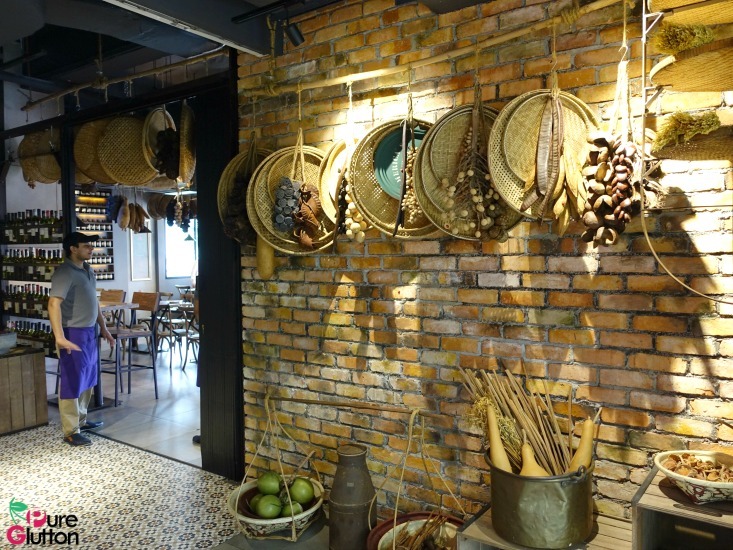 This neighbourhood restaurant has been making waves with their authentic traditional Thai delicacies so it’s best to call ahead and make reservations to avoid disappointment. We’ll definitely be heading that way again, soon!